Actual models after the cut, I promise. 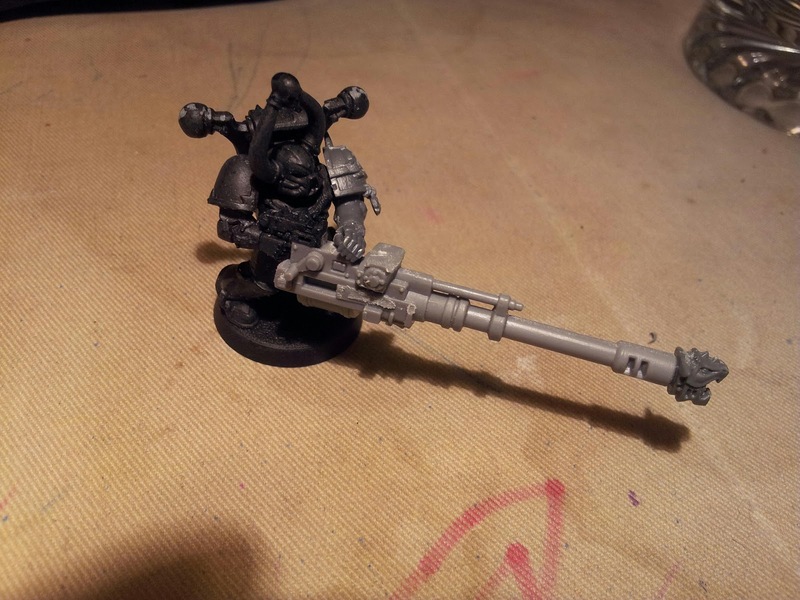 Ok so here we go, the first of my converted havocs, armed with an autocannon. Honestly I think I will have all four of them armed like this because I do like to roll more dice, plus ACs have a chance of hurting most things. Due to my diminishing hobby funds and parts collection this is a AC from a Cadian heavy weapon team. I am sure they won’t be missing it anymore. 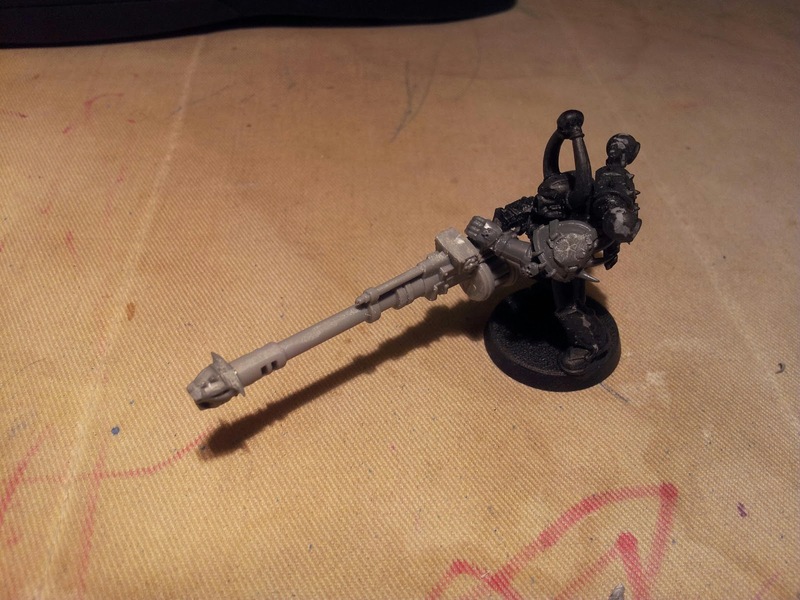 To chaos up the gun a touch I took a file to the upside down Imperial eagle and adjusted the gun barrel for effect. The left shoulder pad has been filed down to remove the Slanesh rune, which now needs to be filled in. All in all the gun looks over sized and work still needs to be done. But he will be a Thousand Son, or at the very least a member of the Host of Rememberance.